Glo has been always there when it comes to cheap and affordable browsing plan though their network coverage is not really at everywhere but here in Lagos where i base, the network is very fine here. 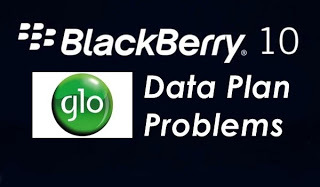 Not too long Glo discharged a mouth watering data plans for Android users which you can get HERE on this blog Entclass.com. Many Blackberry users have been wanting to Enjoy these data plans on their BB10 device which they can't. Even some BB10 users are jealous of we Android users that tweak to browse free and cheap like the one we are currently blazing which is Etisalat BBLite just like the way we used MTN BBLite, that we subscribed with N70/daily. Today am gonna drop a simple tweak for the BB10 users so they can also enjoy the latest cheap Glo Android subscription on their respective BB10 device. You just have to follow me step after steps, then you are good to go. 3. Tap on Mobile Network. Boom you are done . With these simple steps, you'll be able to use Glo Android plans which are cheap now. You can get the code HERE.